BOSTON, MA—(Marketwired – Dec 2, 2014) – Renaissance Boston Waterfront invites guests to deck the halls on the waterfront this season with a holiday experience that is good enough to eat. The family–friendly Holly, Jolly Holiday package will delight both kids and kids at heart, big or small and naughty or nice with a complete rooms package at the Boston hotel. Guests who book the Holly, Jolly Holiday package will enjoy deluxe accommodations in a guest room or suite and an over–the–top milk and homemade cookie amenity, complete with Santa–approved treats and toppings. After the evening sugar rush, guests are invited to enjoy breakfast at M.C. Spiedo, Renaissance Boston Waterfront's new restaurant from James Beard Award–winning chefs Mark Gaier and Clark Frasier. The Holly, Jolly Holiday package is available Thursday – Sunday until January 4, 2015. Rates start at $199 per night. Reservations can be made at RenaissanceBoston.com by entering promotional code XYO or by calling 1–800–HOTELS1 and asking for the Holly, Jolly Holiday package. Package does not include tax, parking or gratuities. This promotion is not valid for groups of 10 or more. Blackout dates may apply. M.C. Spiedo, the recently opened Italian rotisserie from James Beard Award–winning chefs Mark Gaier and Clark Frasier, was inspired by the chefs' love of the Italian Renaissance, discovered during their personal travels. 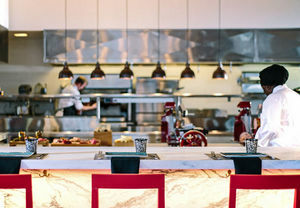 The menu at this iconic restaurant in Boston's seaport district, reflects their passion for the old world flavors from Florence, Bologna and Venice, as well as their focus on farm–fresh ingredients and contemporary cooking techniques. M.C. stands for Chefs Mark and Clark, while “Spiedo” refers to “spit” or “skewer” in Italian. Rotisserie cooking was a wildly popular technique during the Renaissance, and a 40–inch steel spit is used nightly at M.C. Spiedo to roast locally sourced duck, chicken and suckling pig, among other restaurant classics. Follow us on facebook.com/MCSpiedoBoston, or @MCSpiedo on Twitter. A fine addition to Boston Harbor and an iconic centerpiece in the heart of the city, Renaissance Boston Waterfront Hotel provides guests with unprecedented service and sophisticated accommodations. This highly acclaimed waterfront hotel boasts well–appointed, contemporary guest rooms with breathtaking ocean vistas and first–class amenities. After a long day, guests are invited to unwind in style at its state–of–the–art fitness center, indoor pool and sauna. Rustic and robust flavors of the Italian Renaissance can be enjoyed at M.C. Spiedo the onsite restaurant serving breakfast, lunch and dinner. This flagship waterfront hotel in the city's Seaport District also offers easy access to Quincy Market, Faneuil Hall, Logan International Airport and the Financial District. Plus, with 20,736 square feet of event space, it's an ideal setting for corporate functions, wedding receptions and dazzling social soirees of any size. NEWARK, NJ—(Marketwired – Dec 2, 2014) – Travelers to Newark Liberty International Airport are primed to get a taste of something special this season, as Aviation Grill and Newark Liberty International Airport Marriott Hotel offer an exclusive Dinner for Two + Breakfast for Two package at the esteemed property. 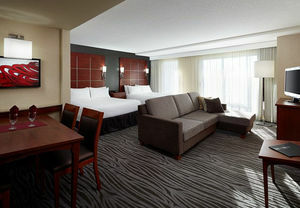 Guests are invited to book their overnight stay and leave the cooking to Marriott with this exclusive Newark hotel deal. The package includes dinner for two in Aviation Grill, featuring a menu of traditional and innovative favorites, followed by breakfast for two the following morning. Guests can wake up and indulge in an array of perfectly prepared morning selections in the restaurant, or order room service and savor some extra time together in the comfort of their room. Blending casual American cuisine with a menu that emphasizes fresh ingredients and flavorful recipes, Aviation Grill is a mainstay for travelers seeking a deliciously prepared menu right onsite, blending tasty dishes with the convenience of airport travel. Its classic American fare and casual atmosphere make it a favorite among both business and leisure guests looking for the perfect lunch or dinner spot. Conveniently located within the grounds of Newark International Airport (EWR), the hotel is defined by its modern and sophisticated décor, and is a proud recipient of a TripAdvisor Certificate of Excellence, in recognition of its excellent service and amenities. The property offers a complimentary shuttle to and from all airport terminals making travel stress–free for all of its guests, while providing a host of onsite amenities to keep travelers entertained. For more information about Marriott's Dinner for Two + Breakfast for Two offer, or to make reservations, visit the Newark Liberty International Airport Marriott Hotel website. Be sure that promotional code D60 appears in the Corporate/Promotional code box when making your online reservation, or call 1–800–228–9290 in the US and ask for promotional code D60. 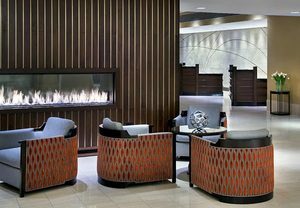 Though it's located just a free shuttle ride away from the Newark Liberty International Airport (EWR), the Newark Liberty International Airport Marriott may as well be in its own orbit. That's because beautiful landscaping, sound–resilient windows and completely renovated interiors create a haven for travelers with all the benefits of modern luxury. The 585 guest rooms and six suites feature high–speed Internet access, marble bathrooms and luxurious linens to leave guests refreshed and ready to enjoy the hotel's many other amenities like the 24–hour fitness center and indoor/outdoor pool. Two dining options include Aviation Grill for American food and the 5, 10, 20 menu of The Greatroom, which serves time–conscious travelers in the newly remodeled lobby. The hotel also features 30,000 square feet of renovated event space and is close to a variety of attractions like Liberty State Park, the New Jersey Performing Arts Center and New York City. Visit www.newarkairportmarriott.com or call 1–973–623–0006. SAN DIEGO, CA—(Marketwired – Dec 2, 2014) – Medical diagnostic manufacturer JAJ International, Inc. (www.jajinternational.com) a subsidiary of LuSys Laboratories, Inc., receives promising results from a Sierra Leone Pilot Study for their Point of Care 10 Minute Ebola Rapid Test Diagnostic. On November 18th, the WHO made an urgent call for a working solution to rapidly screen patients for Ebola. According to the WHO, standard RT–PCR molecular assays used in West African laboratories require a full tube of blood, laborious procedures, and cost around $100. With no definitive therapy or vaccine to treat or prevent Ebola infection, a key strategy to controlling the spread of Ebola is rapid diagnosis to identify, contain and quarantine. Currently in West Africa, diagnosing Ebola infections can take several days, as time is lost transporting patient blood samples to distant laboratories. An accurate Ebola rapid test could change that, allowing medical staff to diagnose patients on the spot, in 10 minutes at a fraction of the cost of RT–PCR. “We understand the difficult physical constraints facing medical professionals in remote clinics,” said James Lu, Vice President of JAJ International. “That's why our Ebola Rapid Tests are designed to accept just a single drop of blood, and provide results in 10 minutes, without the need for electricity or lab equipment. Initial findings from last month's Pilot Study in Sierra Leone of our Ebola immunoassays were very encouraging. Since live Ebola samples are dangerous to work with, we rely directly on the data received from West Africa. One of our antibody formats was particularly promising with a Sensitivity of 82.4% and a Specificity of 80.0% in Sierra Leone. With an ultimate goal of 96+% Sensitivity and Specificity, our staff has already made significant improvements to increase accuracy of our Ebola tests. Both the improved Ebola antibody and new antigen prototypes are being shipping to Sierra Leone and Ghana for evaluation. JAJ has also joined forces with mobile health data analytics company BridgeCrest Medical to deliver cutting edge real–time medical data to health care professionals via mobile devices. For clients with the need to manage point of care event and information tracking across distributed sites and remote locations, this option provides actionable intelligence. Our vision is to quickly pull the test results and patient data into BridgeCrest's cloud–based HIPAA compliant platform and open the data through an API to all appropriate client organizations in an instant. BridgeCrest offers full support for JAJ's infectious disease and health monitoring diagnostic products. Together we can differentiate whether a patient with symptoms is suffering from Ebola or other diseases such as Malaria or Dengue in minutes. Ebola rapid tests combined with PCR testing offers a cost effective balance in a system of confirmation, follow up testing and redundancy via inexpensive screening. JAJ is determined to make the WHO's 'Ideal' Ebola assay, one that is rapid, sensitive, safe and simple to use. Operator safety is a primary focus in the design of our rapid tests. The death toll among medical staff in West Africa has been particularly heavy, as are the risks. Our top priority is to develop diagnostics that will keep health care professionals safe from exposure while quickly diagnosing patients to control the spread of Ebola. Any requests for Evaluation of JAJ's Ebola diagnostic products are welcomed. JAJ International is an American Manufacturer with over 170 different diagnostic products and 16 years of experience in R&D, rapid prototyping and manufacturing. A strong area of focus for JAJ has been Infectious Disease detection, with such rapid diagnostic tests as Malaria Pf/Pv specific, Dengue NS1/IgG/IgM, Nasal Swine Flu specific, Nasal Bird Flu, Tuberculosis, and Hepatitis (A, B, C, E). LANCASTER, PA—(Marketwired – Dec 2, 2014) – This holiday season, guests at Courtyard Lancaster will be toasting to good times and great memories as the hotel invites guests to stay just moments from some of the region's most popular holiday events and happenings. From a Hersheypark Candylane Christmas to a Dutch Winter Wonderland, the hotel is prepping for an unforgettable celebratory season. Guests are invited to stay just moments from these and other activities taking place nearby. For show lovers, Sight and Sound Theatres near the Lancaster, PA hotel brings to life the epic stories of the Bible with the Miracle of Christmas, running from now through January 2nd, 2015. Families can also visit Elizabeth Farms and enjoy holiday fun at Santa's Workshop through December 14th, where they can take photos with the jolly man himself. 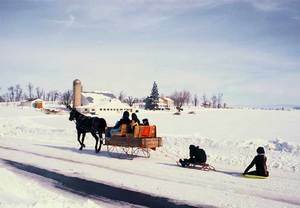 Visitors can enjoy a wagon ride around the farms, choose the perfect Christmas tree, or browse the holiday gift shop while the kids marvel at the Holiday Train Room. During the holidays Hersheypark turns into a Christmas–themed wonderland, as Hersheypark Candylane welcomes the season with more than two million twinkling lights. Families can enjoy rides for all ages, festive decorations, visit Santa's reindeer, or take in some of the theme park's wildly popular shows, including “A Music Box Christmas” and “NOEL!” The family–favorite Twilight Express is the perfect way to take in all of the festive decorations and holiday–themed sights. For more theme park fun, the hotel is also near Dutch Wonderland, which undergoes a fantastic transformation each year. Dutch Winter Wonderland greets guests with themed rides, tasty holiday treats, and a dazzling Royal Light Show featuring hundreds of thousands of twinkling lights dancing to your favorite holiday tunes. Kids can also share their wish list with Santa. Music lovers will have something to revel in too. As the holiday season winds down, the hotel welcomes back the Lancaster Roots & Blues Music Festival, which takes place February 6th through 7th and features skilled artists from around the USA and beyond. The festival sees over 50 musicians at eight venues showcase their talents with incredible music all weekend long. The Courtyard Lancaster offers spacious accommodations and award–winning service for a truly relaxing hotel visit. Located just moments from some of Lancaster, PA's most popular attractions, the hotel offers a newly redesigned, modern lobby and free wireless Internet access, both within and immediately outside of the hotel. Guests can start their morning with a tasty, well–priced breakfast at The Bistro, or stop by after work for a drink with friends. The fitness center is the perfect place to blow off steam after a busy day in Lancaster, PA, and the property also offers a heated indoor pool. Corporate travelers will appreciate the hotel's close proximity to local businesses, including Lancaster General Hospital, RR Donnelley, Alcoa, and Armstrong. It's also convenient to Franklin & Marshall College, as well as great outlet shopping at the Tanger Outlets. 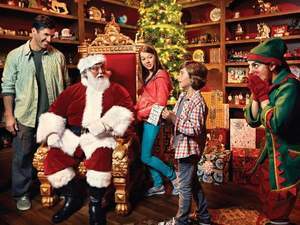 TAMPA, FL—(Marketwired – Dec 2, 2014) – The Tampa Airport Marriott is ready to give families something to celebrate this season, announcing an exclusive holiday offer to coincide with the arrival of Christmas Town at Busch Gardens, just moments from the Tampa hotel. The new offer, titled Celebrate the Savings, invites guests to stay through January 14th and receive 15% off their rate, while taking in all of the holiday sights and events nearby. Christmas Town at Busch Gardens is now in full swing, and with its arrival the popular theme park has been transformed into a winter wonderland of holiday magic. Located just minutes from the hotel, the annual park event is the Bay area's biggest Christmas celebration, featuring live entertainment, holiday shopping, festive decorations, and seasonal treats. Countless twinkling lights illuminate the theme park as guests flock to Penguin Point, or enjoy a delicious meal at Mrs. Claus' Family Feast. At Santa's House, kids can take photos with jolly ol' Saint Nick himself in his private study. The Elf Academy shows kids what it takes to be one of Santa's little helpers, as they're decked out from head to toe in elf accessories and take part in elf–ercises. There's even a graduation photo and diploma to take home, along with a holiday hayride and special priority access to Santa's House. Families can board the Christmas Town Express for a traditional Christmas sing–along, or hop on some of Busch Gardens' most popular thrill rides, like the Cheetah Hunt, Shekira, or Falcon's Fury. The Tampa Airport Marriott is perfectly placed to bring guests access to the park, just minutes away and with this season's Celebrate the Savings offer, guests can shave even more off of their holiday budget. The offer is available to book now through December 31st, for stays from now through January 14th, 2015. Booking code is W21. For more information or to book this exclusive Florida hotel deal, visit the Tampa Airport Marriott website. Conveniently located inside the Tampa International Airport (TPA), the newly–renovated Tampa Airport Marriott is ideal for both business and leisure travelers. With triple–paned glass and luxurious bedding, guests appreciate the caring renovations made to each of the guest rooms. Proudly rated among Marriott's top 10% of properties for guest satisfaction, it's an elite choice among Tampa International Airport hotels. For dining, guests can experience the trendy Skyye Bar and Grille in the lobby or stop by the Skyye Coffee Bar, serving Starbucks®. The Café offers American cuisine for breakfast. Travelers can enjoy the outdoor pool, fitness center and 22,000 square feet of event space for meetings, events and weddings. Tampa Airport Marriott is near golf courses, Raymond James Stadium, International Plaza, downtown Tampa and nearby beaches. MONTREAL, QC—(Marketwired – Dec 2, 2014) – Parents and kids may not agree on much, but both parties can find something to love about the Residence Inn Montreal Airport's latest promotion. Offering families the chance to slow down and spend an evening together, the hotel's new Family Movie Night package promises a happily–ever–after experience for everyone. Available through May 2, 2015, the Family Movie Night package includes everything guests need to enjoy a night in. Families begin by settling into a spacious suite that can accommodate up to two adults and three kids with two queen beds and a pull–out couch. These recently renovated hotel suites near Montreal Airport not only offer enough room for everyone to spread out, but they're also stylish enough to impress even the most discerning design maven in the family. This family–friendly option among Saint–Laurent hotel deals also includes breakfast the next morning. In the Hearth Room, families can dig in to the mouthwatering buffet before heading out to the nearby Ville Saint–Laurent for shopping and entertainment. Or they can explore attractions like St. Joseph's Oratory of Mount Royal, whose architecture and gardens enchant young and old alike. The flora and fauna of the Botanical Garden are also close by. And families can check out what's on offer at the nearby Bell Centre and Montreal Olympic Stadium, both of which showcase sporting events, performances and more. Back on property, kids can play in the indoor pool or plug in to their electronics via the room's free, high–speed Wi–Fi. Whatever they choose to do, whether it's exploring a new city or staying in together, only one hotel deal near the Montreal Airport lets families bond the way they want to. And that's something everyone can agree to enjoy. Offering guests a convenient airport location, the newly renovated Residence Inn Montreal Airport is ideal for short or extended stays. As a premier destination among hotels near the Dorval Airport, this property offers a wide range of complimentary amenities like airport shuttle service, parking, high–speed Internet access and daily hot breakfasts as well as accommodations within 169 spacious, well–appointed suites. Fully–equipped kitchens and complimentary grocery–shopping service invite guests to make themselves at home, while the seven flexible meeting rooms encourage productivity. At the end of the day, travellers can unwind in a number of ways, whether it's over drinks and dinner at the YUL Restaurant & Bar next door, or while taking a dip in the indoor pool and whirlpool or exercising in the fitness centre. LD MICRO is a by–invitation–only newsletter firm that focuses on finding undervalued companies in the micro–cap space. Since 2002, the firm has published an annual list of recommended stocks, as well as comprehensive reports on select companies throughout the year. The firm also hosts the LD MICRO Micro–Cap Growth Conference for investors in December of each year. LD MICRO concentrates on finding, researching and investing in companies that are overlooked by most institutional investors. It is a non–registered investment advisor. For more information, please contact 408–457–1042 or visit www.ldmicro.com. Air Industries Group (NYSE MKT: AIRI) is an integrated manufacturer of precision components and provider of supply chain services for the aerospace and defense industry. The Company has over 50 years of experience in the industry and has developed leading positions in several important markets that have significant barriers to entry. With embedded relationships with many leading aerospace and defense prime contractors, the Company designs and manufactures structural parts and assemblies that focus on flight safety, including landing gear, arresting gear, engine mounts and flight controls. Air Industries Group also provides sheet metal fabrication, tube bending, and welding services. Certain matters discussed in this press release are 'forward–looking statements' intended to qualify for the safe harbor from liability established by the Private Securities Litigation Reform Act of 1995. In particular, the Company's statements regarding trends in the marketplace, the ability to realize projected EBITDA, firm backlog and projected backlog, potential future results and acquisitions, are examples of such forward–looking statements. The forward–looking statements are subject to numerous risks and uncertainties, including, but not limited to, the ability to consummate contemplated acquisitions, the timing of projects due to variability in size, scope and duration, the inherent discrepancy in actual results from estimates, projections and forecasts made by management regulatory delays, changes in government funding and budgets, and other factors, including general economic conditions, not within the Company's control. The factors discussed herein and expressed from time to time in the Company's filings with the Securities and Exchange Commission could cause actual results and developments to be materially different from those expressed in or implied by such statements. The forward–looking statements are made only as of the date of this press release and the Company undertakes no obligation to publicly update such forward–looking statements to reflect subsequent events or circumstances. JAKARTA, INDONESIA—(Marketwired – Dec 2, 2014) – Travelers know the essentials of thriving in life on the road. It starts and ends with their hotel and the experience it provides. A new Jakarta hotel promotion initiated by The Mayflower, Jakarta – Marriott Executive Apartments gives travelers all they need to achieve in style this season. The hotel's deal comes at the perfect time for travelers attending any of the exciting conferences and trade fairs that will be in Jakarta in the coming month. Guests in town for the massive Marintec Indonesia Show will find that the breakfast, internet, and airport transport package can help them grow their business as much as the maritime conference. With in–room high speed internet, business travelers can easily research the day's most intriguing innovations or contact potential buyers and sellers for around–the–clock networking from the familiar comforts of this serviced apartment in Jakarta. The Mayflower, Jakarta – Marriott Executive Apartments' breakfast, internet, and airport transport package sounds self–explanatory, but it's more than it seems. A minimum 2–night stay begins with promotional rates at $170.00 USD per night. 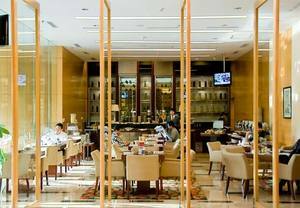 Guests receive a daily breakfast buffet for two at the hotel's delicious café in Sudirman, aptly named The Café, in–room high speed internet, and complimentary transportation from and to the airport. Combining the ease of home–style apartment living with an attentive staff and luxurious accommodations, The Mayflower, Jakarta – Marriott Executive Apartments welcomes travelers of all sensibilities to their warm, convenient property. For further information and reservations, please contact (021) 2551 1881. This December travelers from around the region will descend upon Jakarta for IndoMetal 2014 — the International Metal & Steel Trade Fair for Southeast Asia takes over from December 11–13. Business travelers in town for these exciting events will consider The Mayflower's Jakarta corporate apartments. Complimentary airport transportation makes for hassle–free arrivals and departures while the amenities to create a personalized business experience through the hotel's 24–hour accessible services enhance productivity throughout a busy stay. The hotel is conveniently located for travelers to take advantage of the surrounding Jakarta neighborhood. Guests will love the easy access to a variety of local restaurants nearby, and some of the best shopping the city can offer at Plaza Indonesia and Grand Indonesia. Regardless of whether you're traveling for business or pleasure, The Mayflower, Jakarta – Marriott Executive Apartments and their breakfast, internet, and transportation package ensures guests can have the best of both worlds, and craft their stay to fit their style. Located in the central business district of Sudirman, just 30.2km from Jakarta International Airport, The Mayflower, Jakarta – Marriott Executive Apartments reflects the finest service apartment luxury living coupled with an unrivalled level of home style comfort. As a key luxury hotel in Jakarta, Indonesia, each of its spacious and beautifully appointed one, two and three bedroom apartments are furnished with a fully equipped kitchen, personal laundry room, Marriott signature revive bedding and dedicated area for work and relaxation. Experience personalized Jakarta business hotel services with 24–hour guest relations, 24–hour housekeeping, international restaurant, in–house spa, fitness centre, and swimming pool. The surrounding neighborhood features high–end office towers and restaurants within walking distance. The hotel's location in Jakarta, Indonesia is situated near major embassies and offers easy access to all nearby shopping centers, including Plaza Indonesia, Plaza Senayan and Grand Indonesia. SOUTH BEACH, FL—(Marketwired – Dec 2, 2014) – The Ritz– Carlton, South Beach will once again host a luxurious New Year's white party. Last year, more than 1,500 guests dressed in white flooded the Miami Beach hotel for the “BLANC NYE 2014″ festivity. After much success, the revelry will return Wednesday, December 31, 2014 as a “Royal White Affair”. This year, the New Year's Eve event will feature over–the–top specialty entertainment, renowned DJ's, and opulent décor poolside at The Ritz–Carlton, South Beach. Dancing to the beats of DJs Tony G, Chris Valencia, and Malone, attendees will enjoy a lavish Miami night filled with mystique, live entertainment, aerialists, and performances. Eye catching visuals at the hotel will enhance the guest experience, bringing storybook and iconic royal figures to life. 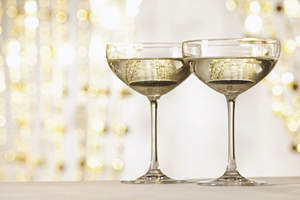 Presented in part by Perrier Jouet Champagne, “Royal White Affair” will feature a theme based exclusively around the color white which is synonymous with the clean slate that a new year represents. Required dress for the hotel event is evening wear and white is encouraged. Tickets can be purchased online at www.BlancNYE.com. Presale tickets are priced at $99 and include a premium open bar from 9:00PM until midnight. Table reservations are available. The Ritz–Carlton, South Beach is located at One Lincoln Road, Miami Beach, FL. For additional information visit ritzcarlton.com/southbeach or call (786) 276–4006. The Ritz–Carlton, South Beach is an oasis of luxury and bliss located in the epicenter of South Beach – The restored Art Moderne building in Miami's famed Art Deco district exudes an air of modern sophistication and refined elegance. The resort features 375 newly–renovated guest rooms that draw inspiration from the azure waters of the Atlantic Ocean, Miami's golden sandy beaches and the vigor of South Beach. The Ritz–Carlton, South Beach lies on Miami's most famous beach and is located just steps from Ocean Drive and Lincoln Road — a 10–block pedestrian esplanade with world renowned shopping, dining, nightlife and people–watching. Its centerpieces include the only Ritz–Carlton Spa featuring exclusively La Maison de Beauté Carita, a multi–million dollar art collection, The DiLido Beach Club — the only oceanfront restaurant on South Beach, VIP oceanfront cabanas, 24–hour Fitness Center, grand ballroom, meeting rooms, and elevated outdoor pool overlooking the Atlantic Ocean. For additional information about The Ritz–Carlton, South Beach please call (800) 241–3333, the hotel directly at 786–276–4000, a travel professional or visit The Ritz–Carlton web site at www.ritzcarlton.com. SAN FRANCISCO, CA—(Marketwired – Dec 2, 2014) – The Linux Foundation, the nonprofit organization dedicated to accelerating the growth of Linux and collaborative development, today announced its 2015 events schedule, which includes LinuxCon and CloudOpen in North America and Europe, the Linux Foundation Collaboration Summit, Embedded Linux Conference, Android Builders Summit and ApacheCon, as well as new events for 2015, open source storage and filesystems conference, Vault, and ContainerCon, focused on the rapidly expanding container industry. We are now accepting speaking proposals for 2015 events. Upcoming CFP deadlines include Vault (Dec. 7), Collaboration Summit (Dec. 8), Android Builders Summit (Jan. 5), Embedded Linux Conference (Jan. 9), ApacheCon North America (Feb. 1), Automotive Linux Summit (Feb. 10) and LinuxCon + CloudOpen Japan (Feb. 12). To submit a proposal: http://events.linuxfoundation.org/cfp. The way software is built is changing. According to research firm Forrester, 84 percent of developers today depend on open source software1. More companies than ever are using open source software and collaborative development to accelerate technology and drive innovation. The Linux Foundation in 2015 will offer a growing variety of events, showcasing the latest trends in open source, to bring together the world's best developers, IT professionals and companies that are on the cutting edge of this transformation. Linux Foundation events are the neutral place where companies can reach the maintainers and developers across all the important open source software projects in enterprise, networking, embedded, IoT and cloud infrastructure. LinuxCon + CloudOpen North America will take place this year in Seattle and will be co–located with the all new ContainerCon, amongst other events including KVM Forum, Linux Plumbers Conference, #MesosCon and Xen Project Developer Summit. LinuxCon and CloudOpen Europe will be in Dublin, Ireland, along with Embedded Linux Conference and other events. An exclusive, invitation–only summit that brings together core kernel developers, distribution maintainers, ISVs, end users, system vendors and other community organizations for sessions and workgroup meetings that help solve the most pressing issues facing Linux today. Invitation–only event that brings together developers and researchers who work with the Linux storage, memory management and file system stack. New for 2015, Vault — co–located with the Linux Storage, Filesystem and MM Summit — will tap into the expertise of developers leading file system and storage innovations in a general technical conference setting open to everyone. Android Builders Summit is a technical summit for OEMs, their device manufacturers, integrators, custom builders, and the growing Android and Linux Kernel developer communities. Now in its 11th year, Embedded Linux Conference is the premier vendor–neutral technical conference for companies and developers using Linux in embedded products. This year's theme is 'Drones, Things and Automobiles,' with tracks dedicated to the Internet of Things, commercial drones, and Automotive Grade Linux. ApacheCon is the only event dedicated to bringing together the 100+ Apache Software Foundation project communities as well as other open source projects across multiple sectors in one venue to advance the work that is defining the future of technology and that represents a new generation of software development. It hosts collaboration on some of the today's hottest open source projects, including Apache projects like Cassandra, Cordova, CloudStack, CouchDB, Geronimo, Hadoop, Hive, HTTP Server, Lucene, OpenOffice, Struts, Subversion and Tomcat, among many others. This year ApacheCon will also feature a dedicated CloudStack Day for attendees. The Automotive Linux Summit brings together innovative minds from automotive and open–source, including systems engineers, Linux experts, R&D managers, business executives, legal and compliance specialists and community developers. LinuxCon Japan is the premier Linux conference in Asia that brings together a unique blend of core developers, administrators, users, community managers and industry experts. CloudOpen Japan brings together the open source projects, products and companies that are driving the cloud and big data ecosystems today, along with best practices from the world of traditional open source. The Linux Foundation is also launching a new conference in conjunction with LinuxCon + CloudOpen North America this year — ContainerCon — to bring together leading contributors in Linux containers, the Linux kernel, and related projects to forge a path to continued innovation and education. ContainerCon will include content on Docker, LXC and container management systems. #MesosCon fosters greater collaboration around Apache Mesos, bringing together users and developers to learn and share while accelerating growth of the project's ecosystem. Now in its 11th year, Embedded Linux Conference Europe is the premier vendor–neutral technical conference for companies and developers using Linux in embedded products. Dates and locations for ApacheCon Europe, Korea Linux Forum and the Linux Kernel Summit will also be announced soon. For more information about all Linux Foundation events, please visit: http://events.linuxfoundation.org. The Linux Foundation, Linux Standard Base, MeeGo, Tizen and Yocto Project are trademarks of The Linux Foundation. OpenDaylight is a trademark of the OpenDaylight Project. OpenBEL is a trademark of OpenBEL Consortium. Linux is a trademark of Linus Torvalds.”Apache”, “Apache Cassandra”, “Apache Cordova”, “Apache CloudStack”, “Apache CouchDB”, “Apache Geronimo”, “Apache Hadoop”, “Apache Hive”, “Apache HTTP Server”, “Apache Lucene”, “Apache OpenOffice”, “Apache Struts”, “Apache Subversion” and “Apache Tomcat”, “Cassandra”, “Cordova”, “CloudStack”, “CouchDB”, “Geronimo”, “Hadoop”, “Hive”, “HTTP Server”, “Lucene”, “OpenOffice”, “Struts”, “Subversion”, “Tomcat”, and “ApacheCon” are registered trademarks or trademarks of the Apache Software Foundation in the United States and/or other countries. All other brands and trademarks are the property of their respective owners.